This post is part of a virtual book tour scheduled by Goddess Fish Promotions. Don will giving away reader's choice of a copy of one of his books on http://www.donmcnair.com/ to one randomly chosen commenter. Click on the banner above to see the other stops on the tour. Will that next agent or editor buy your manuscript? Will they even read it? The fact is, they’ll usually reject your work after glancing at the first page. While some may hint at problems they see there, most will return your work with a well-worded form rejection letter. They don’t critique your work because of time constraints, but they also know that, in general, you’ll not like or believe what they have to say. It’s an open secret in the writing industry. Most unpublished writers will never be published, because of their first paragraphs. Many send problem-riddled manuscripts to editor after editor, believing they are perfect. In the mean time they blithely build the same flaws into their next manuscript, not knowing they’re making those mistakes. Unless someone tells them what the problems are, their manuscripts will be rejected the rest of their lives. Telling them, of course, is what professional editors do. Note, however, that while you may not recognize problems in your manuscript, someone does! Those editors! They quickly spot them in a manuscript’s first chapter—often on the first page—and reject the submission without further reading. They know the rest of the manuscript contains the same mistakes, just as we know an iceberg’s submerged part is made up of more of the same ice seen on top. But they simply don’t have the time or inclination to teach authors their writing skills, and certainly don’t want to get into conversations where they must defend their findings. So they send out “sorry, it’s not for us” letters and move on to the next manuscript in their bulging slush piles. One reason editors won’t offer advice is, unfortunately, that many writers refuse to believe them when they do. It’s a problem I constantly run into as a professional fiction editor and online writing instructor. As an example, in a recent class I explained what an “opening hook” was, and asked students to develop one and send me their first few paragraphs for review. Then I made a mistake that sent a flash fire through the classroom. I thought I’d do those students a favor and edit those paragraphs, not just comment on their hooks. I put my editing into a document and, realizing we all can learn from each other’s mistakes, suggested that students look at all the entries, not just their own. I’ve since resolved never to touch that hot stove again, and will only edit for writers who realize their work can be improved, and who give me explicit permission to do it. I really should have learned this lesson from a prior experience. A few years ago I saw a dozen “first chapters” while serving as a romance writer contest judge, and edited the first two or three pages of each to show areas where the writers could improve their work. Remember, these writers had polished their work to within an inch if its death, so the work was as good as they could do. I got a scorching letter from one writer who flailed me heavily about the head and shoulders, pointing out that my editing would crush other writers’ egos (but not hers, she hastened to add). She accused me of editing the submissions as a way to get new clients. I saw her across the room as I left the meeting, and realized I was looking at a writer who probably would never be published. The point of all this? When someone critiques or edits your work, thank them for their insight and move on. Just as you shouldn’t argue with a reviewer, you shouldn’t beat up your critiquer. And recognize that some of those critiquers may actually know what they’re doing. The lesson I took home from those incidents is to keep my criticisms to myself, at least until I’m specifically asked to give them. I’ll join those editors and agents by smiling, commenting on the author’s sincerity and good ideas, and move on. 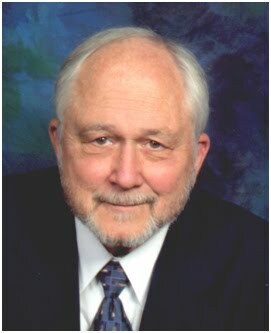 Don McNair, now a prolific fiction writer, spent most of his working life editing magazines (11 years), producing public relations materials for the Burson-Marsteller international PR firm (6 years), and heading his own marketing communications firm, McNair Marketing Communications (21 years). His creativity has won him three Golden Trumpets for best industrial relations programs from the Publicity Club of Chicago, a certificate of merit award for a quarterly magazine he wrote and produced, and the Public Relations Society of America’s Silver Anvil. The latter is comparable to the Emmy and Oscar in other industries. McNair has written and placed hundreds of trade magazine articles and three published non-fiction “how-to” books (Tab Books). 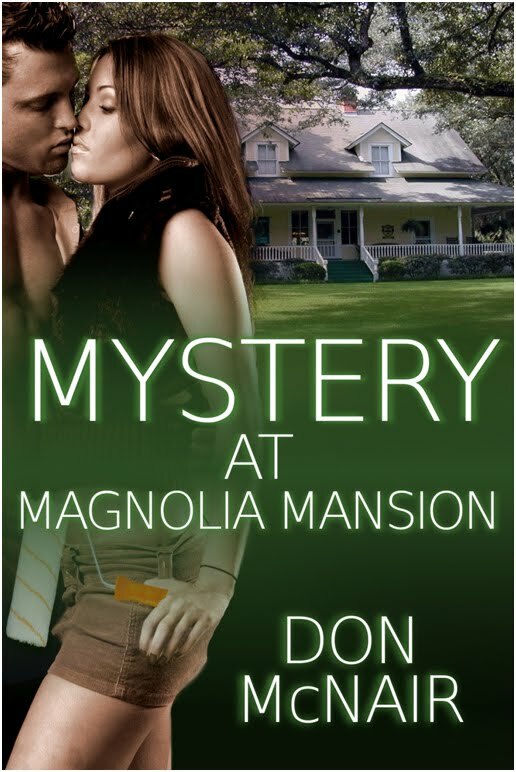 He’s also written six novels; two young-adult novels (Attack of the Killer Prom Dresses and The Long Hunter), three romantic suspense novels Mystery on Firefly Knob, Mystery at Magnolia Mansion, and co-authored Wait for Backup! ), and a romantic comedy (BJ, Milo, and the Hairdo from Heck). McNair now concentrates on editing novels for others, teaching two online editing classes (see McNairEdits.com), and writing his next romance novel. He is author of Editor-Proof Your Writing: 21 Steps to the Clear Prose Agents and Publishers Crave, a self-editing book to be published by Quill Drivers Books on April 1, 2013. NOTE: Don McNair actually lived in this house, and did the very things to it that he has heroine Brenda Maxwell do. Their budding romance plays out before a background of a murder mystery, distrust, and heart-racing hormones. Will it blossom into a lifetime relationship? Interesting post. I imagine people put their heart and soul into their work but for some people their writing should be kept private. I think writers must be open to improving and listen to what people say. Good points, Debby. I guess I erred when I revealed that one writer's mistakes to the world. I've learned I must tread those waters, and let writers give me specific permission to throw the blankets off (to mix metaphors). Thank you Don. I'm taking your Fog Free writing class right now and it's extremely helpful and eye opening. I can say I wouldn't have a problem with you editing my opening paragraph or first chapter. I've developed a pretty thick skin over the years I've been writing. Besides if at my age I can play tennis in a short skirt in front of people, a critique is less intimidating. I laughed at your post, and immediately wondered how you look in that short skirt. Beautiful, I'm sure! I apologized to that group for posting their editing, and several members thanked me for doing it. Very nice artical I would say alot of author do put there soul into there work. Us readers become over picky then we would never buy a book again. So I for one keep open mind and just enjoy what the Authors are willing to write. How sad that so many would be authors are so resistant to change. It would be so much easier for them if they would just listen to any critique. 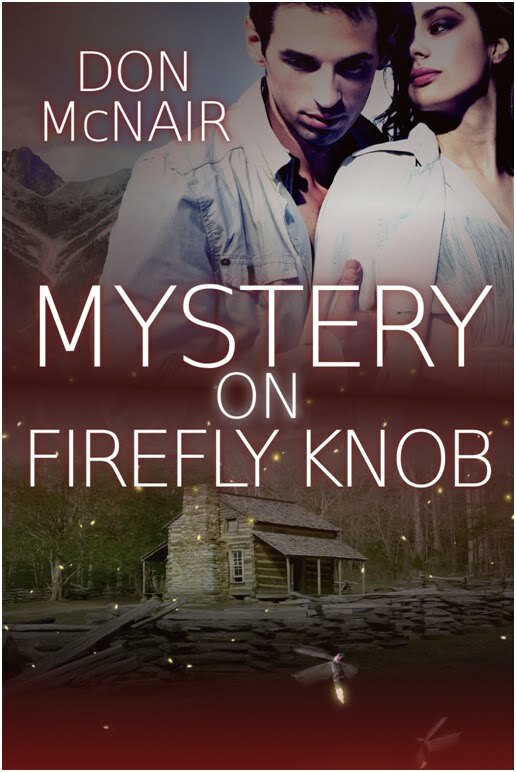 I just put Mystery at Magnolia Mansion and Mystery on Firefly Knob on my "to read" list. They both sound great. I'm looking forward to reading both books, have them on my list of books to read.